BE SAFE. The safety of our students and faculty is our number one priority. 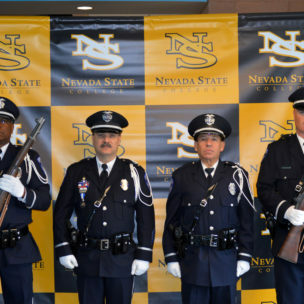 We work to promote a safe and secure campus community at Nevada State College with security protection 24 hours a day and 7 days a week. 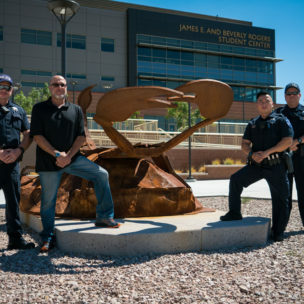 Through a contract with the UNLV Department of Police Services, law enforcement services are provided to NSC’s campus community. 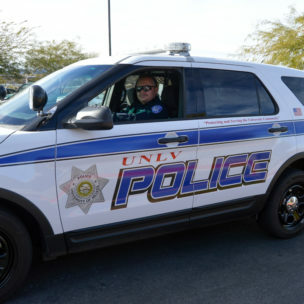 UNLV Police actively patrol the NSC campus seven days per week: Monday through Friday, 7:00 a.m. – 11:00 p.m. and Saturday through Sunday, 7:00 a.m. – 7:00 p.m. The Henderson Police Department assists UNLV Police outside of these hours until a UNLV Police officer can relieve them. The college also contracts with Allied Barton for additional daytime security services as well as for coverage overnight. For police assistance in the case of an immediate emergency or crime in progress, dial 911 from a campus landline or 702-895-3669 from a cellphone. For non-emergency situations, call 311 from a campus landline or 702-895-3668 from a cellphone. The Henderson Police Department supports the NSC campus in the evenings after 10:00 p.m. and on weekends. 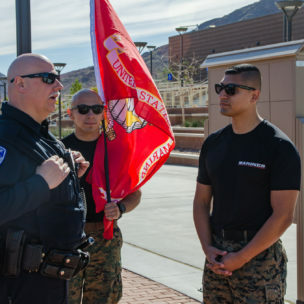 In the event that Henderson Police respond to a crime on the NSC campus, they will provide assistance until a UNLV police officer can relieve them. The Henderson Police can be contacted through the following link or by dialing 9-911 in emergency situations or 9-311 during non-emergencies. 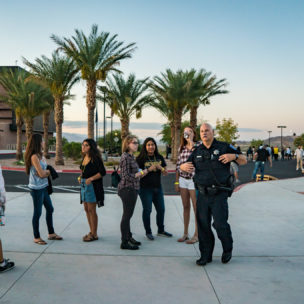 At Nevada State College, we recognize the importance of integrated and comprehensive management and response when faced with an emergency situation. 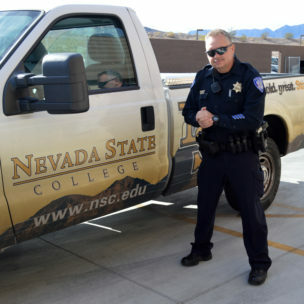 For this reason, Nevada State College's Emergency Management Team ensures that the NSC campus community is prepared in the event of an emergency. The team's purpose is to emphasize advance preparations and teamwork by internal and external stakeholders, establish and maintain effective lines of communication, and provide continuous improvement while delivering leadership in preparing and responding to all emergency incidents. 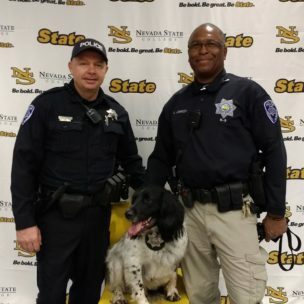 The team provides general guidance, organizational structure, and direction on preparedness and communication to ensure that the College is ready to deal with unexpected incidents to protect the NSC faculty, staff, students, and the greater campus community. The team's focus may also be utilized during major emergencies that occur in close proximity to our campus but that do not directly impact our physical facilities. During this time, we will coordinate emergency communication/information from the City of Henderson. 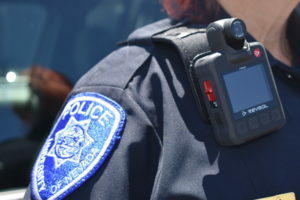 In fall 2018, UNLV Police Services outfitted its officers with body-worn cameras (BWCs) for use during patro ls of campus. Ensuring transparency and accountability, UNLV’s Video Camera Surveillance Committee reviewed and approved the camera policy in May 2018. Officers received training on operation of the cameras, the policy governing their use, and the storage and chain-of-custody of the camera footage. 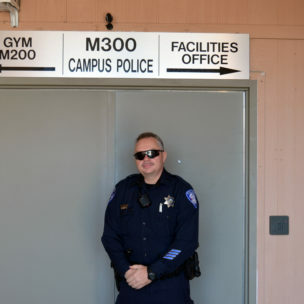 Cameras were distributed to a number of officers for trial operations on the Nevada State College Campus on August 21, 2018 before moving into phase two at UNLV’s Shadow Lane Campus, and finally onto UNLV’s Maryland Parkway Campus. All day and night shift patrol officers will be issued BWCs to be worn on duty. The Jeanne Clery Disclosure of Campus Security Policy and Campus Crime Statistics Act was enacted by Congress and signed into law in November of 1990. To comply with provisions of the act, information is compiled and published annually by the UNLV Department of Police Services. As law enforcement professionals tasked with the maintenance of a safe and secure educational environment, it is our responsibility to provide a comprehensive report regarding the campus public safety environment, including the incidence of crime. For those interested, you may view the Nevada State College Campus Crime Statistics.